“The watch makes the man”. Sorry to disappoint you guys, but the first watches were, indeed, created for women, and women only. Queens to be precise. Elizabeth I of England wore her own wristwatch as early as in the mid 1500’s, whilst men just started peeking around the corner of Watchstreet some 400 years later. Take that! Right now, the timepiece trend is bigger than ever. Imagine, daily life without the convenience of a teeny tiny timekeeper around your wrist! Not only do watches breath elegance and style, they are my best friend when it comes to making my manicure appointments, dates, and dinners. Another nice little fact? A good watch lasts a lifetime. A bag may go out of style, yet watches are utterly timeless (pun intented). Watches come in all shapes and sizes. From silver to gold, from leather to metal, the options are endless. My all time favourite must be the classic, never-going-out-of-style, leather wristwatch! A quality leather watch changes over time, becoming only more beautiful after being worn over and over again. Aside from the clockwork itself, the strap is also very important, making or breaking the design. One day you go for a touch of croc-print, the next day for an unexpected bright colour. Play around! 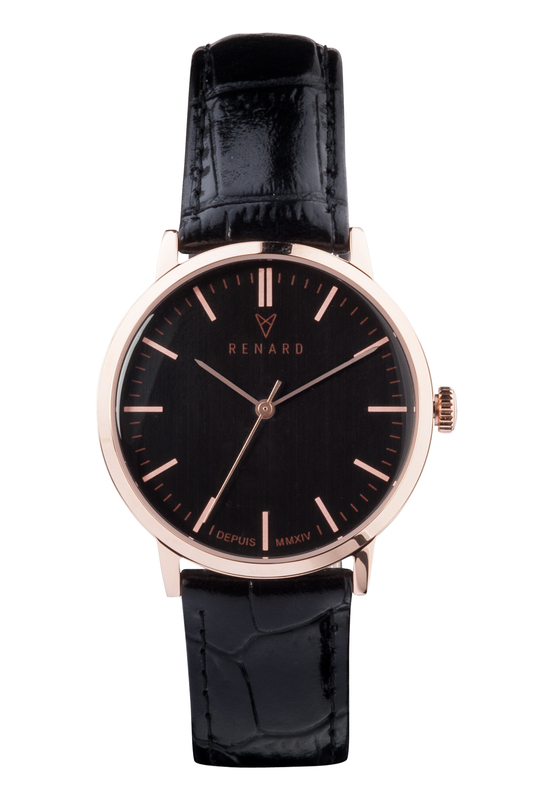 A recent discovery of mine, Renard watches, create beautiful elegant timepieces. They represent the classic, yet fresh and stylish look, featuring attractive shades as burgundy and ocean blue. Renard, fox à francais, represents exactly what the animal stands for. Graceful, yet wild and surprising designs. Personally, I’m in love with the brown croco design! Tell me, what’s your favorite?